These are machined from billet aluminium and are absolutely beautiful. They are a top quality components and look stunning. 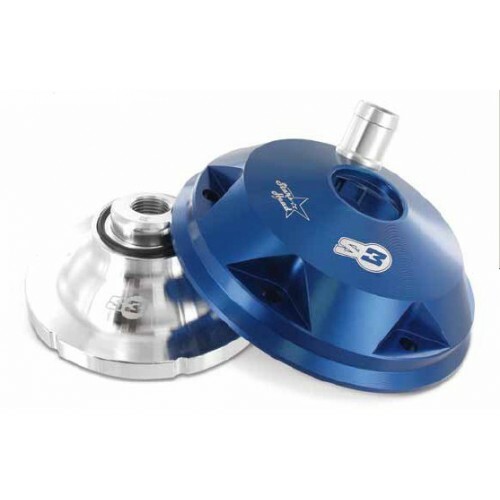 Made in 2 parts using the best alloys available on the market to obtain better output. The advantage of these heads is that they hold more water and also the material is a lot thicker which helps with cooling. S3 Stars Heads eliminate the hot points typically localized in cast heads. The different volume inserts gives the possibility to adjust the engine compression.